This dish is simple enough that you’d get it right every time? … WRONG! You’d be surprised how many times you’ll end up with the green eggs on the right instead of the canary yellow ones on the left. It’s really simple and know that there are TONS of ways to get it right. Here’s my own way of doing, which never fails especially in the morning when I’m rushing to work. Set a small pot of water to boil. 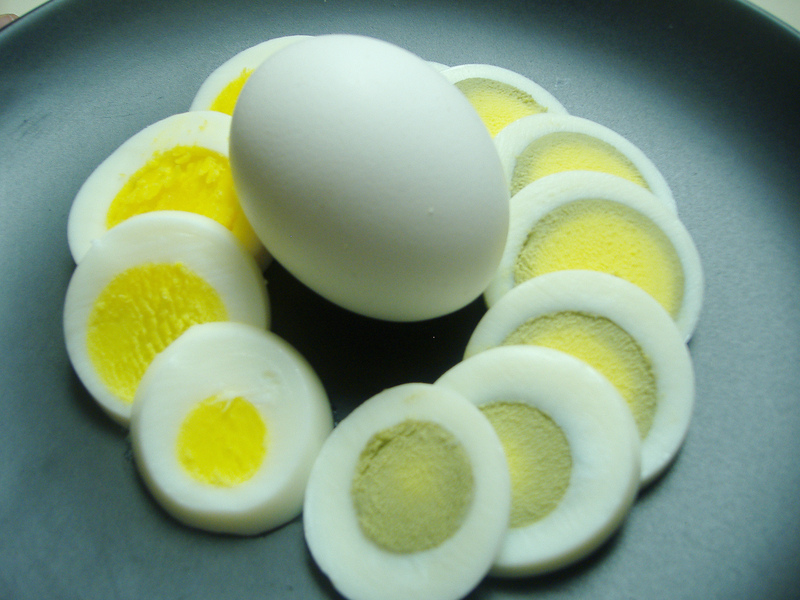 Once the water has boiled, place eggs into the boiling water. After it’s cooked, run eggs under cold water and peel. Sprinkle some salt and pepper and enjoy! Note: Other methods tell you to add vinegar and some say to boil the eggs in cold water… blah, blah, blah. I’ve been doing this for years and this is what works for me. Try it. See if you like. I promise it’s the fastest, simplest method out there!